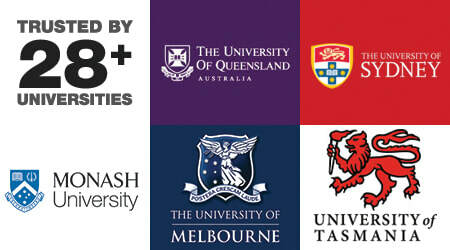 is dedicated to serving the Equality & Accessibility e-learning needs of Australia's universities and colleges. To do our part in ensuring that ALL our university and college students have access to the e-learning resources they need, we not only provide a full suite of transcription and captioning services, but are also developing an Australian-first e-learning platform to serve our Australian universities and colleges for video captioning, lectures transcription, research interviews, and all other academic transcription. An Australian company for Australian transcription. That's our passion. We stand by our work. Our proudly domestic Australian workforce provides academic transcription for for researchers in every university in Australia. How dedicated are we to ensuring all Aussies have equal access to learning? We will beat any Australian competitor. Email us for an obligation-free quote! NOT LOOKING FOR UNIVERSITY TRANSCRIPTION? Academic Transcription Australia operates 24/7. Email admin@academictranscription.com.au to get started today.